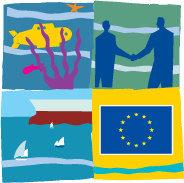 Every year on May 20, European Maritime Day is celebrated across the European Union to showcase the importance of the sea and oceans for our everyday life. 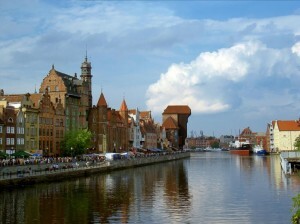 This year, Gdańsk (Poland) is hosting the 4th edition of the European Maritime Day Conference and around 1000 participants have gathered to discuss the opportunities and challenges currently facing maritime regions and sectors across Europe: from tourism and fisheries to maritime transport and climate change. This year the conference focuses on “Putting People First” and emphasis is given on the many benefits that an integrated approach to Maritime Policy brings to European citizens. The topics being discussed include the different initiatives which are already underway; ways maritime sectors can bring more jobs; ways to ensure legal certainty for investors and improve the economic climate; education of seafarers, maritime transport, and other maritime economic sectors. In her keynote address, Commissioner Maria Damanaki emphasised that economic growth will come from the sea through the implementation of the Integrated Maritime Policy. This policy at the service of the European maritime and coastal communities aims at promoting blue growth for the benefit of the European citizens. She also focused on the “Marine Knowledge 2020” initiative, where consortia of European scientists and engineers are processing scientific and technical data and creating single access points open to all public and private users.